02 Apr Lizzie Completes Successful Test Runs! 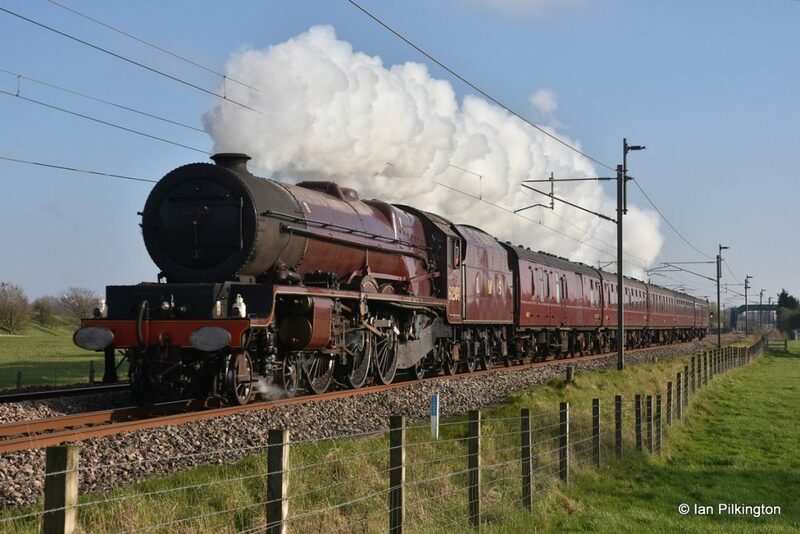 We are very pleased to report that on the 14th March 2019, 6201 ‘Princess Elizabeth’ had her initial light test run after various repairs were carried out at Carnforth. This was the first time ‘Lizzie’ had been in steam on the national network since being withdrawn for repair at the end of 2016, and the loco ran steadily to Hellifield and back during ‘running in’. Then on the 28th March, after the team at Carnforth worked on the teething issues found on the initial run, 6201 embarked on a loaded test run. Lizzie headed back to Hellifield again, returning along the Ribble Valley line and then through Preston and Lancaster, arriving back at Carnforth some 3 hours early! 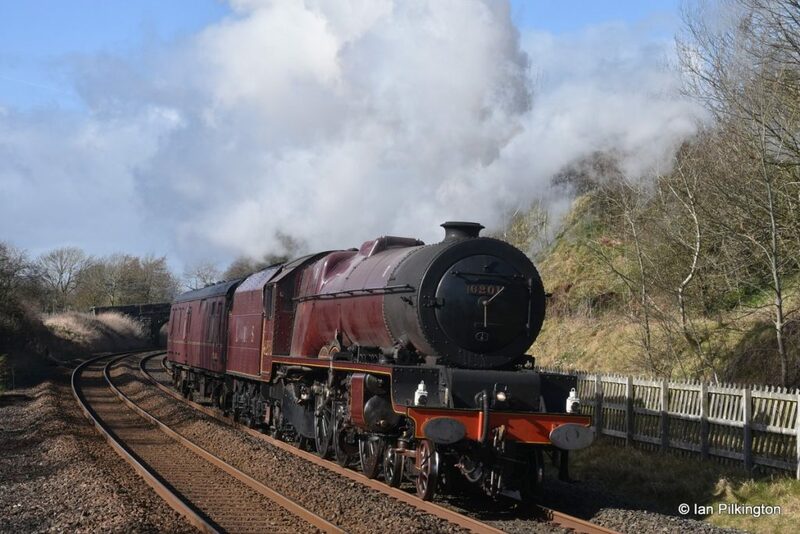 We would like to sincerely thank everyone for their continued support and donations towards the cost of repairs, and we look forward to seeing ‘Princess Elizabeth’ back in service on the mainline soon. It’s not too late yet to make a donation towards the cost of the repairs now carried out, so please click on the link below. Top Photo: At Long Preston (between Settle & Hellifield). Lower Photo: Nr Brock (North of Preston on the West Coast Mainline).